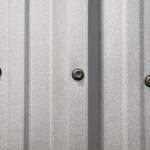 Environmentally friendly, metal roofing and siding panels are manufactured using an array of recyclable materials. 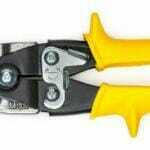 This includes everything from old car parts to aluminum cans. Consequently, they are quickly becoming a favorite material for the environmentally conscious architect or builder. To date, many states are adopting mandatory energy saving policies and procedures for new building construction. This includes the states of New York and California, trailblazers in energy saving programs and initiatives. Other states are joining their efforts by offering tax incentives and other benefits to encourage the use of energy saving and recyclable products like metal roofs. One initiative is the LEED or “Leadership in Energy and Environmental Design” program that recognizes builders and architects in their efforts to go “green”. 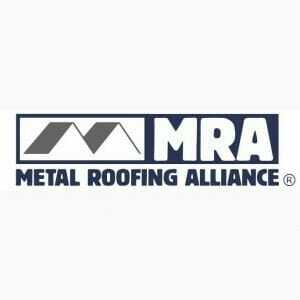 Using standards set by the U.S. Green Building Council, metal roofs are incorporated in the program because of their energy efficiency and construction using recyclable materials. To meet the requirements of the LEED program, buildings are allotted points based upon the use of recycled products in their projects. This includes 1 point when at least 5% is from recycled content, and 2 points when there is a minimum of 10% in recycled content (see technical bulletin 726 for details). 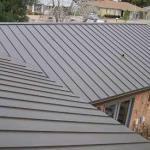 Metal roofs are crafted using lots of recyclable materials and thus can help considerably with meeting this standard. Additionally, at the end of the life of these metal panels, they can also be recycled aiding in their use as an environmentally friendly resource. Fabral is dedicated to recycling and uses some scraps for packaging and donates the remainder to mills for reuse. Therefore, our cover sheets as well as panels are all recyclable and friendly to our environment. Without a thorough technical knowledge related to steel, you should not try to analyze between the EAF and BOF steel production systems. If you’d like to learn more about it however, you can download useful data from the Steel Recycling Institute’s website at www.recycle-steel.org. Another common recycled product is that of aluminum – namely beverage containers. Possibly this is because aluminum recycling requires very little energy for the production process. Despite the ease of reproduction, it results in a huge energy savings. Further, the use of recycled aluminum helps in reducing both air and water pollution. 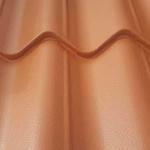 Copper is a very expensive element which makes it favored by many consumers. Especially those who engage in collectibles and the sale of scrap metals. It is therefore also a metal that is often recycled and has the highest value of any metals retrieved from older buildings. To recycle it, copper scraps are melted down for reproduction which requires less energy than the process of either mining or refining copper. Although copper wiring can only use very little recycled copper, roofing on the other hand is crafted using as much as 75% copper scraps.